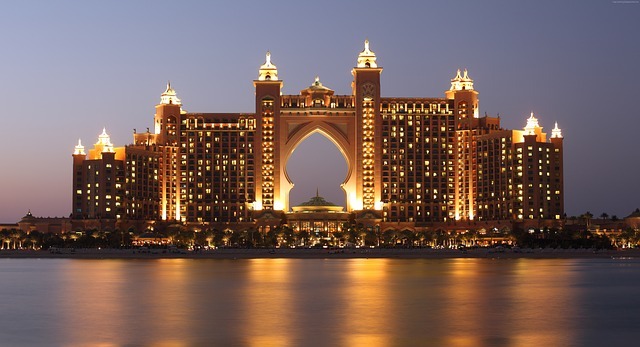 Dubai Travel Insurance | Fantastic Value | Book Now! Getting the best travel insurance for your trip to Dubai thankfully doesn't need to cost the earth, as Holiday Extras' travel insurance policies can be individually tailored to suit you - ensuring they remain both comprehensive and affordable. With impressive cover for declared medical conditions and unforeseen medical expenses, as well as 24/7 access to our emergency medical systems helpline, you'll really be ready to brave the heat. Efficiency is at the heart of Dubai's economic success, and when booking with Holiday Extras you can have your worldwide policy ready in an average time of ten minutes. What's more, individual members of a group annual policy can travel separately as long as they live at the same address. Securing an affordable policy is quick and easy. Fill in a quote form above to choose a suitable policy online or simply call our friendly Kent-based call centre. Help is at hand from our call centre support teams, and you will be given greater assurance by our low excess options, with policies from £0 excess. Entry requirements - British citizens can pick up a 30-day visa on arrival, and this can be extended by paying a fee. Legal - Although fairly liberal when compared to the surrounding seven states that make up the United Arab Emirates, Dubai is still under Sharia law. This means that certain things like public displays of affection, drinking alcohol in public and even losing your temper are all prohibited and severely punished. Be sure to research in advance, and take particular care during the holy month of Ramadan, or when visiting religious areas. Medical - Prepare for the heat, and do not over-exert yourself. Temperatures in Dubai can reach extreme levels, so ensure that you drink plenty of water and pack lots of sun lotion. Remember, Dubai is the second most expensive city in the world when it comes to accommodation, so it's likely that a large chunk of your holiday expenses will go on a place to stay. When looking for accommodation in Dubai, make sure that the hotel or resort is located close to the Dubai Metro line, for ease of access to the beaches and downtown areas. You may be able to find some very attractive deals with equally attractive prices, however, these offers are very often located in areas like Sharjah Dubai, which are some distance from the main city and will cost you no less than 200 AED for one taxi trip. The best areas to look for more affordable accommodation are in places like Al Barsha, JLT or Dubai Marina. Dubai's public transport system, like everything else in this extravagant metropolis, is highly modern, clean and efficient. To use the public transport system, you'll need to pick up a "nol card", as most transport services won't take cash payments. These are the equivalent of a London Oyster card and allow you to use the buses, metro, tram taxis and water taxis. Dubai Metro - The Dubai metro system runs the entire length of the city, though it only covers the key tourist and business locations. To make things easy, there are only two metro lines, the airport line which stretches to Jabali in the south and the green line which zig-zags across the city. For some reason, the metro doesn't run on Friday mornings, so keep this in mind when you're planning your day. Taxi's - Another popular means of getting around in Dubai by using the taxi service, which is relatively cheap and available 24/7. Taxies are metered and the price will vary according to how far you want to travel. If you are coming from the airport, then all fares will start at 25 AED as standard. Being part of the United Arab Emirates, Dubai uses the Arab Emirates Dirham (AED) as its currency. Notes range from five to one thousand and you'll find ATMs dotted around everywhere. Most places accept Master and Visa cards, though the smaller restaurants and shops in the suburban neighbourhoods of Dubai may only accept cash. Tipping in Dubai is relatively straight forward - if you've had a good experience in a restaurant, then 10-15% of the bill is plenty. When paying for a taxi, it's good practice to round up to the nearest Dirham. Bring jumpers and sweaters - Yes, Dubai can get as hot as 45 degrees during the summer, but you'll still need to pack those sweaters and hoodies, along with your flip-flops and swimming costumes. Why? Well, while outside in the street there's soaring dessert temperatures - inside the malls, hotels, restaurants and entertainment centres, the air conditioning can take temperatures as low as 18 degrees! As you'll be likely spending most of your time indoors, taking warmer clothing is strongly advised. There are no pavements - Because temperatures can get so high, especially during the summer, no one really goes outside. If you want to get anywhere in Dubai, most people use the 24/7 taxi service and other forms of public transport. As such, there's little need for pavements in a city where no one does any walking outside! Have almost anything delivered to your door - Yep, anything from fast food, prescription medicine, grocery shopping - even just a bottle of water. Burj Khalifer - Officially the tallest building in the world (as of Jan 2018) the Burj Kahlifer stands at a staggering 830 meters tall. And of course there's a viewing platform right at the top - though it will cost you 503 AED (or £100) for a ticket to use the elevator! Duty-free shoppping - With almost every major brand represented in the worlds largest shopping mall, Dubai is the place to go if you want to pick up some bargains in clothes and electronic gadgets. Everything here is tax and duty-free, so you can really find some incredible deals. Visit Burj Al Arab, the landmark sail-shaped building known for being the only 7-star hotel in the world. Take your children to Wild Wadi Waterpark, where exciting rides are available for people of all ages. Marvel at the World Islands, a series of artificial isles shaped like different continents and countries. Relax on the white sands of Jumeirah Beach Park, with its translucent water, breezy palm trees and easy access to Beach Road. Rebuilt in 1998, Grand Mosque has nine huge domes with stained glass panels and the tallest minaret in the city. *Prices based on 1 adult aged 21 with no pre-existing medical conditions, travelling to Dubai for 7 days. Price correct as of April 2019.